According to statistics, Nigeria holds a 40% share in DSTV subscriber base, which makes this beautiful country it's biggest market in Africa, all thanks to our over 170 million population. We all know the population of a country has a direct effect on it's economy. DSTV is owned by MultiChoice, a South African company. So as Nigerian you can tap into this opportunity and become a licensed DSTV agent and start earning some good cash in return. We all know DSTV is a household name when it comes to pay TV in Nigeria and it has created thousands of employment opportunities for Nigerians. So what more? Take advantage of the fact that Nigeria is a huge market for pay TV subscription and start making money instead of complaining of unemployment. Now let us talk about how you can become a licensed DSTV agent. I know you must have heard of agents/dealers, but do note an agent is not really different from a dealer. Sometimes an agent is referred to a dealer and vice versa. Though there are levels of agents and dealership. There are super agents/dealers and there are sub dealers/agents. To become a DSTV super dealer means you are investing huge money into the multichoice franchise (buying the franchise). As a DSTV agent, you work directly with subscribers. As an agent you install DSTV for new customers and provide after sales services to them. Also, as an agent other responsibilities like; subscription renewal, customer services, and the activation of new subscribers among other functions fall on you. On the other hand, as a super dealer/agent you undergo a special training to cover areas where there are no DSTV offices. 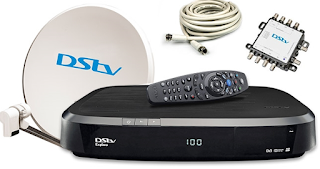 In this case you are DSTV's representative in charge of providing technical assistance and and registering new clients or subscribers. However, in order to carry out these responsibilities, you need to be trained by MultiChoice. You will be given basic technical training and you will be provided with all the equipment you need to carry out your duties, isn't that sweet to hear? But note you must pay your franchisee fee. So after satisfying all the requirements whats next? Get your office at a densely populated area because if you want clients you had better not site your office at a rural area. As a DStv agent you can be rest assured of your financial freedom. The business can be financially lucrative as it has a healthy return on investments. At whatever level of investment you may be, there is a huge potential of getting back your principal including impressive profits.